Ultimate ring-spun softness with high stitch density for superior printability. 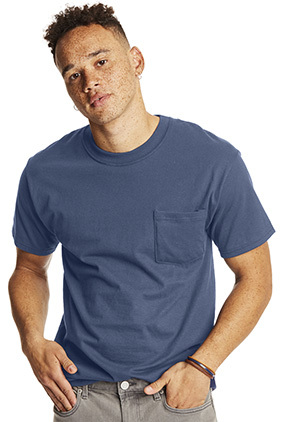 Pre-shrunk 100% ring-spun cotton 6.1 ounce pocket t-shirt. Double-needle coverseamed neck and shoulder-to-shoulder tape. Five point, double-needle hemmed pocket. Tag free neck label for comfort.